Hrant Dink bugün yanıbaşımızda öldürüldü! Today Hrant Dink was killed near to our hearts! Saturday at 11pm we want to continue on Hrant Dink's memory. PiST Nerede? 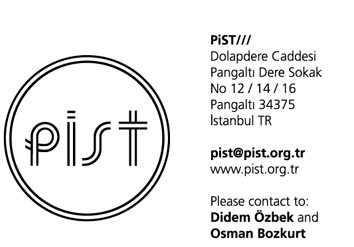 / Where is PiST? © PiST/// 2006-2013. Awesome Inc. theme. Powered by Blogger.